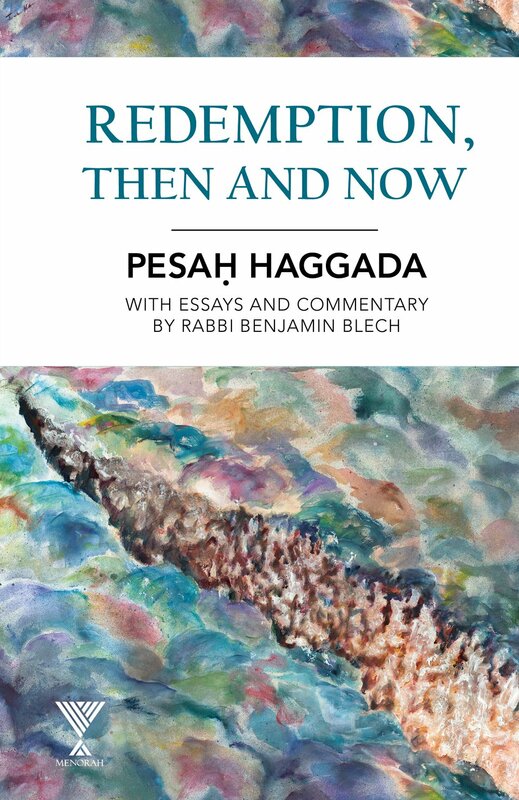 Breaking News: RABBI BLECH’S HAGGADA IS OUT NOW – ORDER IMMEDIATELY FOR THIS PESACH! Rabbi Benjamin Blech is an internationally recognized educator, religious leader, author, and lecturer. Rabbi Blech is the author of twelve highly acclaimed and best selling books, with combined sales of close to half a million copies, including three as part of the highly popular Idiot’s Guide series. His book, Understanding Judaism: The Basics of Deed and Creed, was chosen by the Union of Orthodox Jewish Congregations as “the single best book on Judaism in our generation”. Together with an accompanying six hour video, filmed by the producers of 20/20, featuring Rabbi Blech, it is presently being used as the basis for study groups in numerous synagogues and universities around the country. His book Taking Stock: A Spiritual Guide To Rising Above Life’s Financial Ups and Downs was featured in a full page article in the Sunday New York times and one of his recent works, If God is Good, Why Is The World So Bad? has been translated into Indonesian where it has had a powerful reception in the wake of the country’s tsunami, as well as into Portuguese . In a national survey, (www.jewsweek.com) Rabbi Blech was ranked #16 in a listing of the 50 most influential Jews in America. A recipient of the American Educator of the Year Award, he is a Professor of Talmud at Yeshiva University since 1966 and has formed thousands of student-teacher relationships through his warm and caring style. Rabbi Blech is known for his ability to present complicated ideas in a clear and entertaining manner. A tenth-generation rabbi, Rabbi Blech is Rabbi Emeritus of Young Israel of Oceanside, which he served for 37 years. He is a frequent lecturer in Jewish communities as far-flung as Australia, South Africa, New Zealand, Bangkok, Singapore, Hong Kong, Tokyo and Israel. Closer to home, he has served as Scholar-in-Residence at hundreds of synagogues throughout the United States and Canada and been active on behalf of countless Jewish causes. His lectures on tape have an international following and are among the most popular from among the thousands made available on the web through Aish Hatorah. A past President of both the National Council of Young Israel Rabbis, as well as the International League for the Repatriation of Russian Jewry, Rabbi Blech has also served as officer for the New York Board of Rabbis as well as the Rabbinical Council of America. He has appeared on national television (including the Oprah Winfrey Show); hosted a popular weekly radio program in New York; and written for Newsweek, The New York Times and Newsday, in addition to a wide and varied number of scholarly publications. As a result of his personal meeting with the late Pope John Paul II, he was instrumental in securing the loan of precious Jewish manuscripts for exhibition in Israel and he is presently involved in further negotiations for the return of precious Judaica held by the Vatican that may well prove to be of historic significance. Rabbi Blech’s latest book which came out last April was featured on Nightline, Good Morning America and a 1-hour special on 20/20.